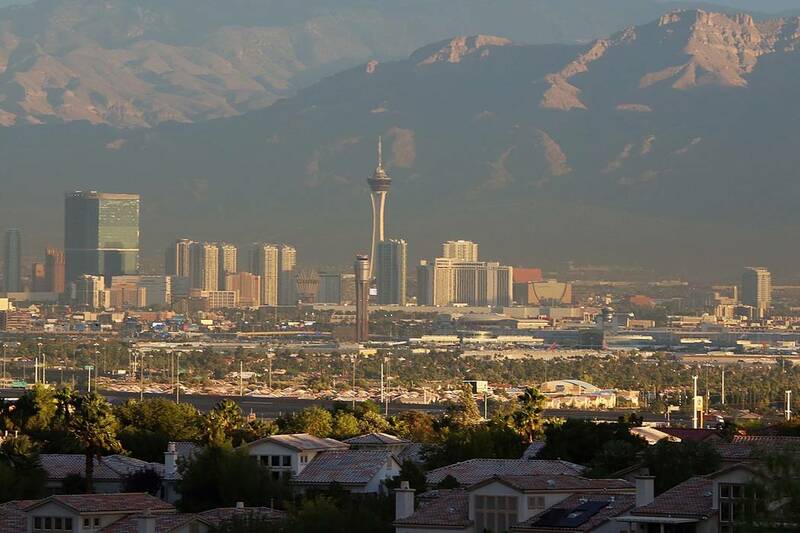 The worst of the winds that battered the Las Vegas Valley this week have passed, but lingering gusts and breezy weather will continue through the weekend. Friday’s forecast has a high of 70 degrees with 10-15 mph winds that could gust up to 25 mph in some parts of the valley, the weather service said. Saturday will be warm and sunny with a high near 78 and light winds, which should last through the evening, the weather service said. Sunday’s high will jump to 85 degrees, about 10 degrees higher than the normal temperature for the season, while breezy winds gusting up to 20 mph will return to the valley. Calmer winds are forecast for Monday, the weather service said. Monday’s high should reach 76 degrees. Tuesday’s high should drop down to about 70 degrees, the weather service said.